Welcome to my summer Bret Culp Photography update. In this installment I’ll be discussing solargraphy, Milky Way astrophotography, time lapse, photo talks, workshops, magazine appearances, a podcast interview, new work and more. If you know someone who would be interested in this, please consider sharing it. Solargraphy is an alternative photography process that uses pinhole cameras and light sensitive black and white photo paper to create very long exposures of the sun’s movement across the sky over days, weeks and months. A single image contains a view of space, time and weather that we could not otherwise see. The colours are a result of the paper’s chemical reactions to the extreme overexposure and the influence of the elements. It is not a straight depiction of the colours in the scene. Each paper type has a different chemical makeup and therefore a different colour scheme. The image above was made using Kentmere VC Select RC Luster paper. As a result of the lengthy exposure the paper should not be developed or it will turn completely black, and using fixer will remove much of the colour. Instead, a high quality flatbed scan is made. The paper will still be light sensitive, meaning that the the scanner will degrade the image as it works its way across it – all part of the fun. The image is then inverted, flipped horizontally, cropped and tone and colour adjusted in Photoshop. Solargraphy is an intriguing mix of analog and digital processes. Much of the beauty of a solargraph is the result of uncontrollable factors such as moisture, dirt or fungus that may have invaded the camera, temperature fluctuations and whether the days were sunny or cloudy. Read more about solargraphy on my Blog. See my latest six month winter solstice to summer solstice solargraph. I’m working on a long term solargraphy project and currently have several cameras cooking away. 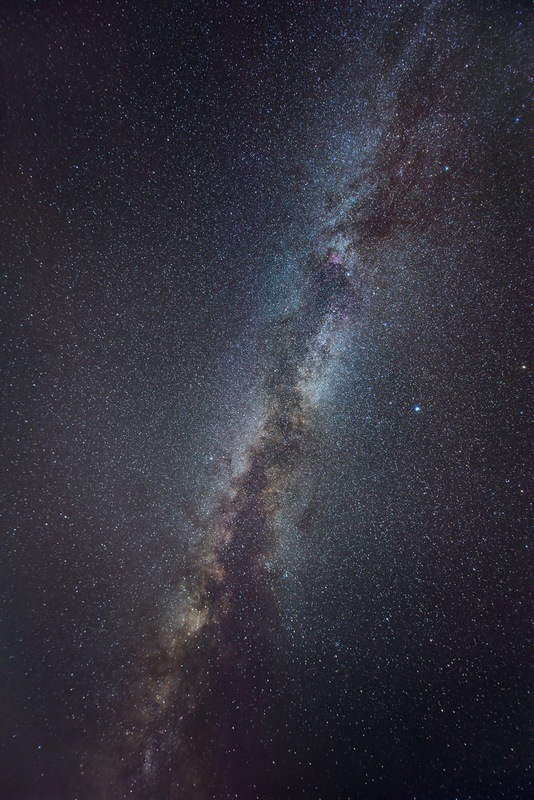 The high quality of the current generation of consumer DSLR cameras puts astrophotography within the grasp of nearly anyone who is interested and has access to dark skies. It is important to shoot from a location with minimal light pollution, sadly, something that is increasingly hard to find – see this dark site finder map. The results will be limited in urban areas as a result of the light spill. See the tutorial on how I made this image. The Milky Way is a spiral galaxy approximately 120,000 light-years in diameter and containing between 100 and 400 billion stars, of which our sun is one. There are billions of galaxies in the universe, which is, hypothetically, one of an infinite number or universes. It is as unfathomable and humbling as it is beautiful. For the past several years I have been amassing gear, purchasing software, refining techniques and seeking out interesting phenomena to produce compelling time lapse sequences. See the short example clip below. Time lapse, like solargraphy, gives us a view of the world that we cannot see under normal circumstances, albeit in a very different way. A time lapse video is comprised of a series of images captured much slower than typical video which results in a substantial increase in the passage of time when played back at normal speed. For example, the common recording rate for a theatrical film is 24 frames per second while the time lapse above captured 1 frame every 10 seconds. This means that when the time lapse is played back in real time it will be 240 times faster than what we normally experience. Additionally, the exposure time was 5 seconds per image, not 1/24 of a second. This reveals movements and patterns in nature that we cannot normally discern. Solargraphy, as previously discussed, compresses the events of days, weeks and months into a single frame, giving us a new way to see the world. I love speaking about photography with fellow photographers. In the past year I have given talks to the groups listed below. The enthusiasm and positive response has been very rewarding. Thank you to all of the participants! I spoke about the beauty of monochrome with the Beach Photo Club last November. I participated in a podcast on finding your unique photographic style with Marko Kulik at Photography.ca in January. You can find the podcast here. 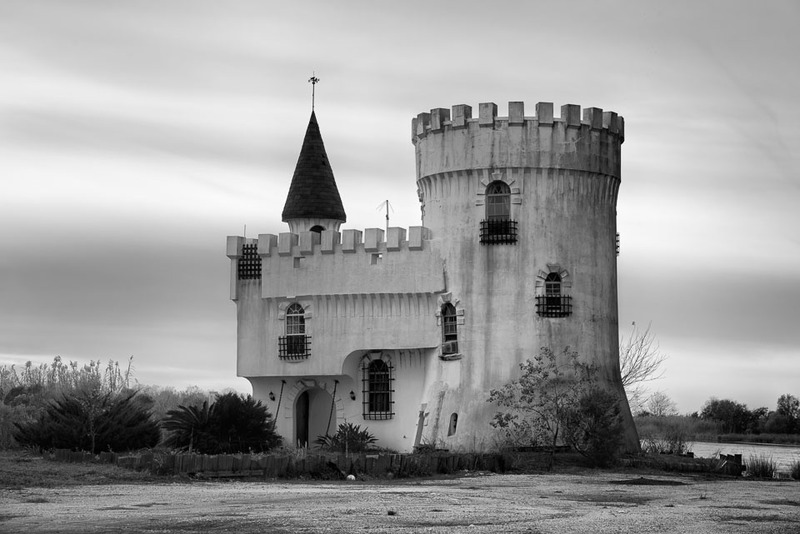 I talked about the beauty of impermanence with the Ajax Photography Club in January. I discussed ways to develop your photographic voice at the London Camera Club in March. I will be the opening night speaker for the new season of the Toronto Digital Photography Club in September. Email me to find out more about photography talks. I led a hands-on workshop on my black and white workflow to a class of Ajax Photography Club members in March. I walked through the steps from initial capture to print ready using both Adobe Lightroom and Photoshop focusing on lens corrections, denoising, dodging and burning and output sharpening. Particular attention was given to histograms, levels, tone curve adjustments and black and white conversion using Silver Efex Pro as well as other techniques. The workshop was instructive and a lot of fun. I’m considering creating workshops on astrophotography, time laspe and other topics. Please let me know if this is something you would be interested in, or if you have a suggestion for a workshop. Email me to find out more about photography workshops. 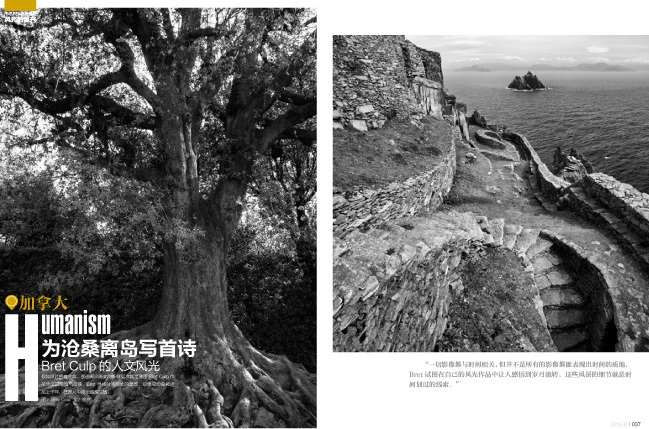 A selection of my work along with a Q&A interview was featured in the February issue of Image Ages Magazine, a photography publication from Hunan, China. The article about my work is entitled Humanism. See more here. There was a short publication of a few of my Irish photos and writing at Life As A Human magazine. The latest update of my book The Beauty Of Impermanence is available as a direct download pdf eBook for $9.99 USD. When viewing with Adobe Acrobat be sure to enable “Two Page View” under View>Page Display> to see the layout as intended, see below. Hardcover and softcover editions are available at Amazon.com. I have completed several photographs of Coney Island closed for the season. The images were captured on film in the mid 2000’s and include the famous Cyclone roller coaster as well as several attractions, like Shoot The Freak, which have since been unceremoniously removed. There is also a variety of other photos from SoHo, the East and West Villages, the Upper West Side and Central Park. 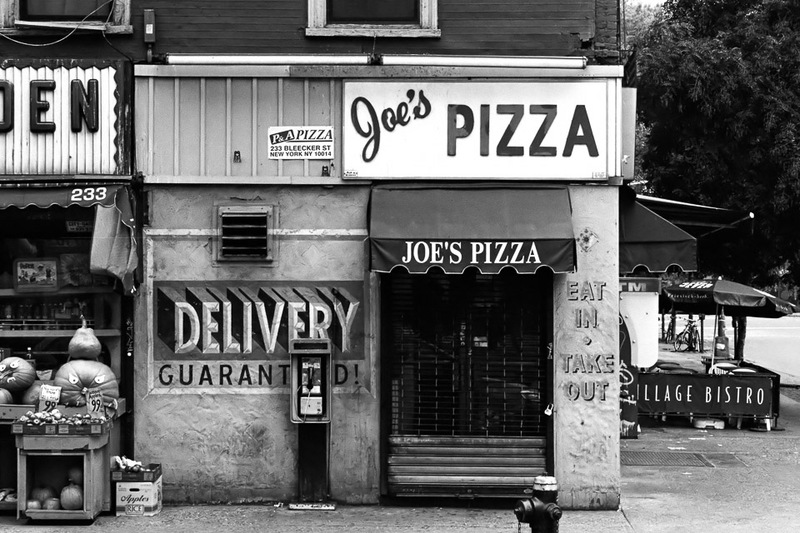 See my New York City portfolio. 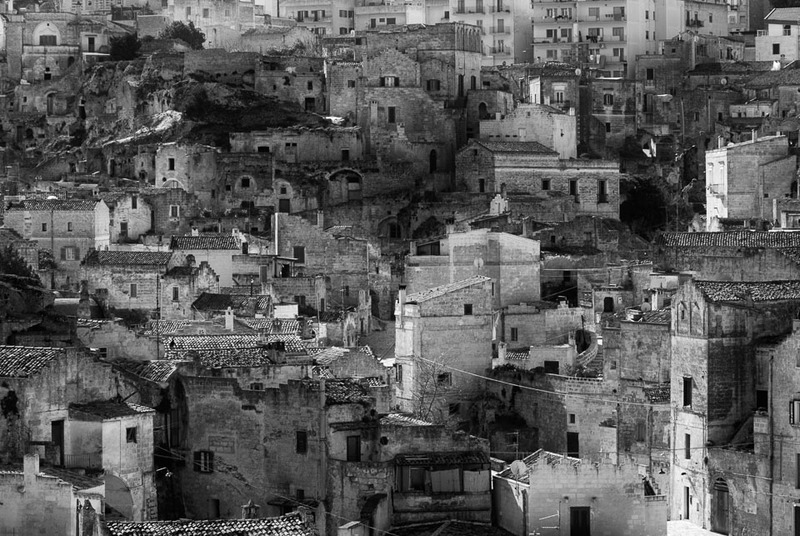 I have also continued my Matera work. Matera is a prehistoric cave town and UNESCO world heritage site in southern Italy. Built into the soft rock on the side of a ravine, people have made it their home for 9000 years. In the 1950’s poverty and squalor resulted in it becoming known as “the shame of Italy” and the entire city was relocated. For more than 40 years the ancient town sat quietly as nature slowly reclaimed its place. In the last two decade the artists moved in, followed by Hotels, Restaurants and the rest. And so it goes. I have also finished several photos from Rome. See my Italy portfolio. Other recent work includes photos from Louisiana, Alabama and Ontario. See my Recent work portfilio. I’m currently working on photos from Cuba, which you will be able to find on my website very soon. This summer I’ll be concentrating on a larger project on burial grounds and memorials. My focus will be on the less manicured, more atmospheric locations where the grass and wildflowers have emerged from the monuments. I will also continue with my long term aforementioned solargraphy work. If you are not already signed up to my mailing list, please consider joining. You will be notified about special offers, new work, exhibitions, talks, workshops, tutorials and events related to Bret Culp Photography. Check here for my mailing list page. That’s all for this Bret Culp Photography update. See you next time.